What to Expect After LASIK? Laser vision correction is a surgical procedure used to reshape the cornea with an excimer laser. This type of surgery can be used on patients experiencing short sight, long sight or astigmatism. Laser vision correction is not an ideal solution for everybody and some people are not candidates for this type of surgery because of the severity of their problem or because of another medical issue. The best laser vision results mean that glasses and contact lenses will no longer be needed by the patient. One of the most common types of laser vision correction is LASIK or Laser-Assisted in Situ Keratomileusis. In a typical LASIK procedure, the patient will have numbing eye drops placed in the eye and then a lid holder applied to keep the eye open. A microkeratome is used to create a flap in the cornea, which is then bent back to expose the inner corneal tissue. The laser sends pulses of light to remove parts of the cornea while the patient focuses on another light to keep the eye as still as possible. The actual laser exposure time is usually less than a minute. After the laser treatment, the corneal flap is repositioned. No stitches are needed because the flap will hold itself down when repositioned and heal itself. The patient is given an eye shield and eye drops and told to come back within a day or two, so the doctor can see if the eye is healing and whether there are any problems. The eye has great healing powers and it would be of great comfort to know that all corneal procedures, even complete transplants, do heal ultimately. The post LASIK eye surgery period is just as important as the surgery itself. The cornea should completely heal. This takes time and requires a lot of aftercare, which should be done meticulously. The average healing period after the LASIK eye surgery is approximately six months. During this period any vision problems that you may have been experiencing should have completely disappeared or at least considerably lessened. Complete healing of the corneal flap could take a bit longer, sometimes up to two years. But this should not give you any cause for discomfort or concern. Healing of the cornea is an ongoing process that does not or should not interfere with your vision or your daily life. Usually there are a minimum of five follow-up visits are scheduled for most patients, post LASIK eye surgery. The first visit will most likely be within 24 hours of the surgery. It is of utmost importance to keep all these visits so that the doctor can keep track of the ongoing healing process and rectify any problems that may arise as you go along. After LASIK eye surgery, it is natural to expect a little discomfort in your eyes, though you should not feel any pain. 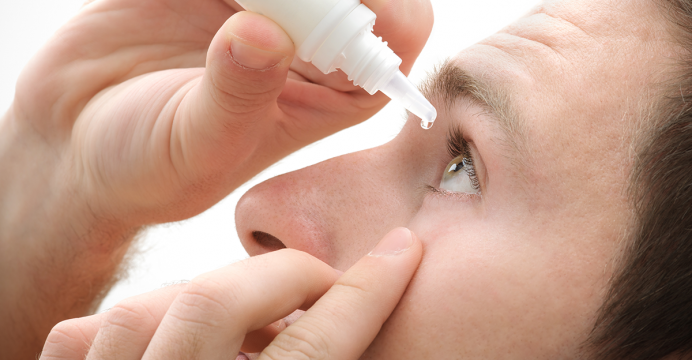 Part of the aftercare involves using eye drops to help alleviate this discomfort. This will have to be done for a minimum period of two to four weeks after the surgery. 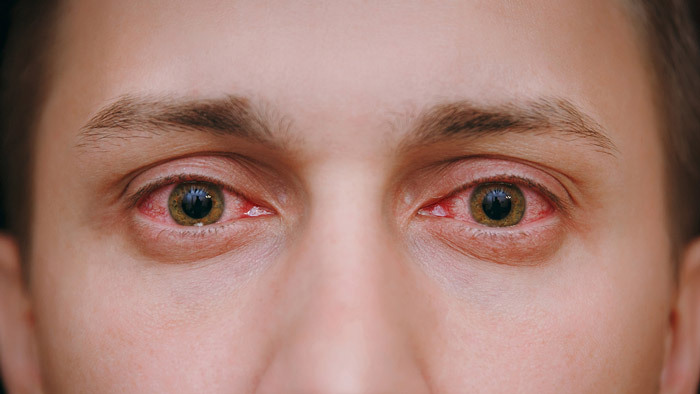 Other common reactions that are common after undergoing LASIK eye surgery are a slightly blurred vision, feeling of dryness in the eyes, minor swelling and redness of the eye, sensitivity to bright light and watery eyes accompanied by a runny nose. To get over the minimal discomfort that comes along with LASIK you can take any over the counter pain medication that does not contain aspirin such as Tylenol or Ibuprofen. Give your eyes sufficient protection against sunlight or any bright light by wearing sunglasses when going out in the day. Give your eyes as much rest as possible by getting some extra shut-eye for at least two to three days post-surgery. The eye mask that was given to you needs to be worn immediately after the surgery for a minimum two to three hours and then during the next three to four days, it should be worn while sleeping. During the first two weeks, all water sports, as well as all water-related activities such as whirlpools or hot tubs, should be avoided. Scuba diving should be avoided for a minimum of six weeks. Your risk factor and the possible need for post-surgery rectifications depend on various factors, the most important one is the condition of your vision pre-surgery. If your vision had deteriorated there are higher chances that there will be some degree of complication in your surgery and you would be dissatisfied with the outcome. Also, if a small degree of astigmatism was present, the results could turn out to be unsatisfactory. Touch-up surgery is common and is normally covered by the initial cost, but the additional surgery is still an unpleasant thought. As with any other surgery, there are no absolute guarantees with LASIK eye surgery too. Complete success is determined by many factors acting together, most important of which is each individual healing powers.